Nikki Gil and her dog Charlie have been each other's companions since 2011. 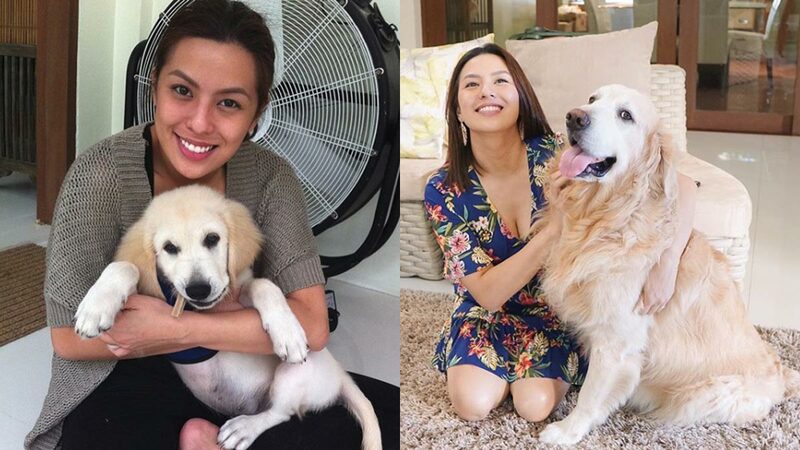 Nikki Gil mourns the passing of her dog, golden retriever Charlie. The host-blogger dedicates two Instagram posts in his memory. One has a collage of their photos through the years. Her caption reads, "My sweet sweet boy... Last night I lost you to cancer. "And while my heart is broken in a million pieces, I take comfort in knowing that you are in doggy heaven running around in perfect health. "I just wish I had more time with you, Charlie. "Goodbye, my perfect friend. I love you with all my heart." Charlie had a constant spot on Nikki's Instagram feed using the hashtag "#DonCharlito." On her YouTube series, Ask Nikki, the celebrity mom described how special Charlie is to her life. Nikki said, "Charlie is stress relief, that's what he is. "He brings joy in the house. We see Charlie and everything is okay. We're reminded that, 'Hey, life is good.'" Charlie was already part of Nikki's world when she experienced a "dark period" in her life. "Dogs make good friends because they don't talk back. They just listen. "And, actually, I went through a really dark period in my life. If their human is going through something emotionally, they can sense that. "Yeah, I love Charlie. I can't imagine life without Charlie." Charlie had been with Nikki since 2011.